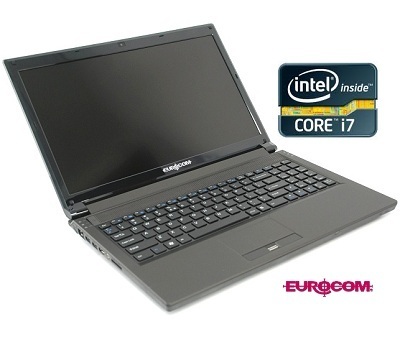 Eurocom Corporation (www.eurocom.com), a leading developer of long lifespan, fully upgradable notebooks, high performance mobile workstations and mobile servers is adding new high performance Intel Core i7 Processors to its line of High Performance Notebooks. “Eurocom is always striving to offer the best available technology, and in our mind the second generation Intel Core i7 Mobile Processors will greatly improve our Business and Gaming Notebooks, through increased efficiency and performance” said Mark Bialic, Eurocom President. “Eurocom now has the ability to offer a 15.6 inch system (EUROCOM Racer) with a 100 Watt video card (NVIDIA GTX 580M, AMD HD 6990M) and a 55 Watt Processor, not many notebooks pack that amount of power into such a small and mobile form factor, that is what’s so special!” explains Matthew Thompson, Eurocom Corporate Sales Manager. Eurocom High Performance Notebooks are built to offer unmatched performance, long lifespan and full upgradeability of the processor, memory, storage, operating system and VGA technology, and are designed with the most innovative technology and components available, from workstation class desktop Xeon processors and RAID support to dual GPU support. Now Eurocom Performance Notebooks are available with the most powerful Mobile processors in the world. The second generation Intel Sandy Bridge Processors are based on 32nm technology and Sandy Bridge architecture. They support Intel Turbo Boost 2.0, which can automatically allow processor cores to run faster than the base operating frequency. Turbo Boost is activated when the Operating System requests the highest processor performance. Intel Hyper-Threading is also supported, which uses processor resources more efficiently, enabling multiple threads to run on each core. Hyper-Threading increases processor throughput and improves overall performance. Due to the high Turbo Boost, large L3 cache, and Hyper-Threading, the performance of the Core i7-2000 series processors will vastly improve Eurocom’s mobile offerings. All Eurocom systems are custom built to the customer’s specifications; this allows them to configure their platform to be a Mobile Server, Mobile Workstation or an Ultra High Performance Gaming Rig.